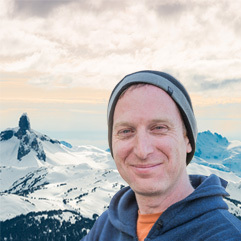 Adventurer, travel writer and TV host Robin Esrock joins infamous Whistler Insider Feet Banks for a whirlwind tour of the best that Whistler has to offer. A fast-paced frolic from Vancouver International Airport to Whistler, an overview of the resort, what to expect, how to fit in and make the most of your Whistler vacation. Two mountains, 8100 acres and 200+ runs, it pays to have a guide. Feet Banks takes Robin Esrock on a whirl-wind highlight tour of both Whistler and Blackcomb Mountains, and meets an Olympic celeb along the way. 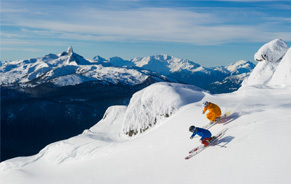 Our guides take a break from skiing and snowboarding to try out some of Whistler's activity highlights. 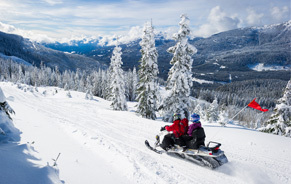 From high-octane bobsledding and tree-top trekking and zipping, to a cruise through Whistler's aboriginal culture and a dip at an outdoor spa. No tour of Whistler is complete without ducking into the best Village hotspots and hidden gems. Feet and Robin tick off the highlights and take time, of course, for some après action. 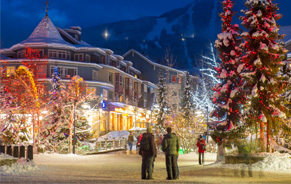 Whistler and families go hand in hand. Our guests gather up their respective families and tour the kid-friendly activities, dining spots and dish some helpful tips for the perfect family vacation. 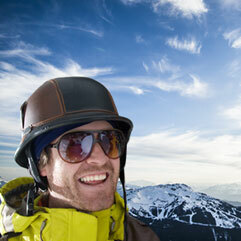 Whistler Blackcomb has it all. Groomers, double black steeps, alpine bowls and learning zones - explore two mountains and over 8, 100 acres of snow covered slopes. There’s a special magic to holiday season in the mountains - think falling snow, twinkling lights and special events to bring families and friends together with smiles all round. Whether you are looking for an adventure or to relax in a winter wonderland, this is the place. Take your pick from snow-fueled activities of all kinds this winter.